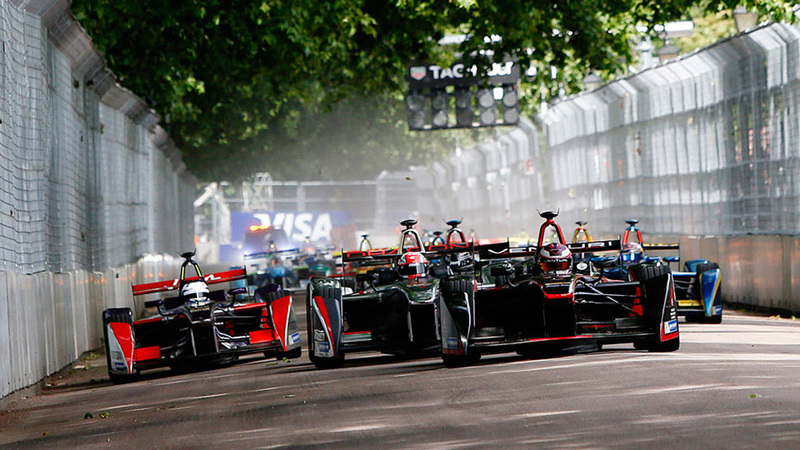 Formula E is a ground-breaking FIA single-seater championship and the world’s first fully-electric racing series. The inaugural season began in Beijing in September 2014, with the final race ending in London in June 2015. The series was held across 10 of the world’s leading cities. The championship has 10 teams, each with two drivers, racing on temporary city-centre circuits to create a unique and exciting race series designed to appeal to a new generation of motorsport fans. FIA Formula E Championship event showcases the potential of electric cars, promotes sustainability as a whole and provides a platform for innovative new technology. The FIA Formula E Championship team recently announced a two-year deal with leading UK solar energy company Lightsource to become a partner of the London Formula E race. Lightsource Renewable Energy is Europe’s largest solar energy company and provides solar PV solutions to commercial and residential customers. The new partnership began at the Visa London ePrix in Battersea Park, where Lightsource showcased their capabilities by powering a range of essential services on and off the track. Firefly were called on by Lightsource to provide various hybrid systems to power the official Formula E Garage, charging of race control cars, ticketing machines at entry gates, a giant TV Screen, mobile phone charging facilities, and Lightsource’s hospitality tent. Firefly supplied five Cygnus®3 Hybrid Power Generators, set up to run 24 kVA with 48 kWhs of battery storage, and an array of other renewable energy equipment. Firefly also helped create a bespoke ground mount system and used Lightsource’s solar panels to build a mini solar farm (4.8 kWp peak) outside their hospitality tent. We used our Pyxis Power Packs, each with two battery extenders to charge the ticket scanner cradles at all the gate entrances – and these were charged by a single solar panel provided by Lightsource. All Firefly’s Cygnus®3 and Pyxis units were wrapped to drive visibility of Lightsource’s branding.